Posted on October 6, 2015 | by TRIP! Share your plan with friends or family! 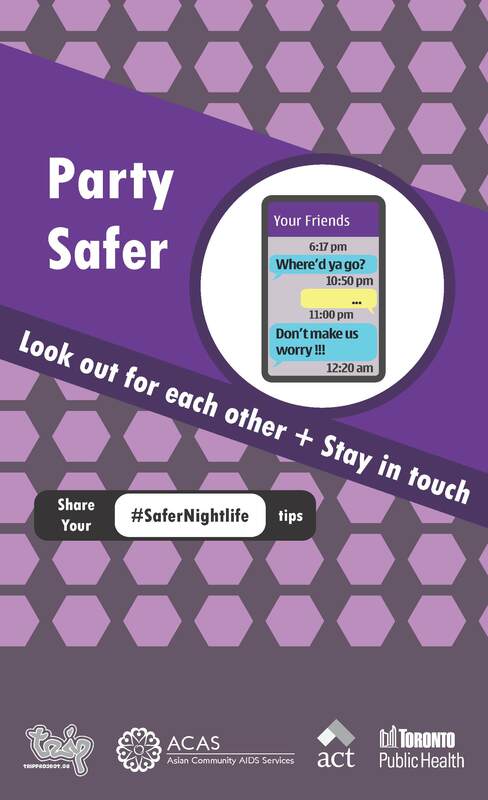 Keep a cell phone on hand or be aware of where you could go to get help if you need it. Like with partying in general, travel with people who have your back! If you’re travelling alone, let people know where you’re headed, when you expect to be there and how they can reach you. Check routes in advance as some might not be 24hrs. Check in advance for stop closures or construction that might affect your plans. A TTC day pass can be used by two adults for unlimited travel on Saturdays, Sundays and statutory holidays, until 5:30 am the next day. (When it’s not a weekend, day passes are good for one adult). You can use the Request Stop program when travelling alone by bus between 9:00pm and 5:00am. 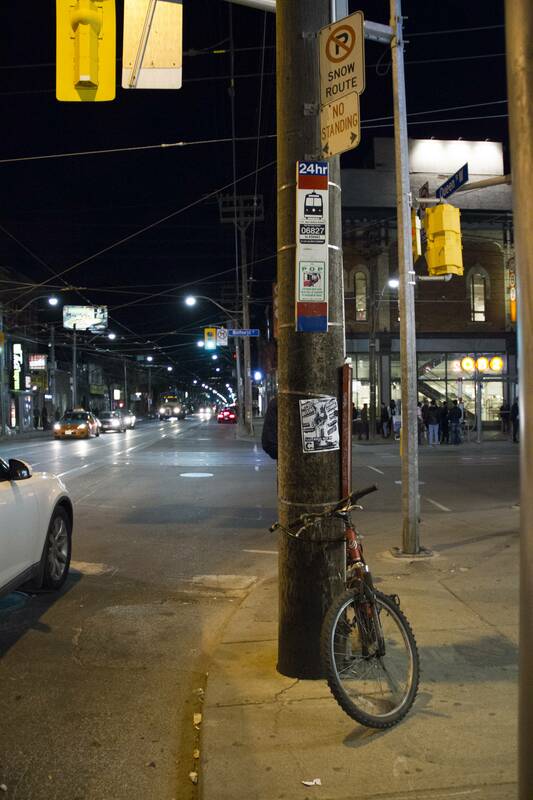 Request Stop allows folks feeling vulnerable to get off the bus between regular TTC stops. Ask at least one TTC stop ahead of where you want to get off. The driver may not be able to stop if there’s construction or something, but generally they’re cool. Walk with confidence and be alert to your surroundings. Avoid taking shortcuts or walking in dark areas. Be aware of places where you can get help if you need it, like open stores, restaurants, and public telephones. Remain alert. Crowded places like bus stops, buses and subways are prime spots for pickpockets. Be aware of loud arguments or people bumping into you – They may be staged to distract you while a thief lifts your wallet or bag. Carry only what you need. Avoid carrying unnecessary cash, credit cards and other valuables. If you have a bag be sure to carry it in front of you and close to your body with your hand over the closure. Taking A Taxi? You’ve got rights! The new Taxicab Bill of Rights combines the rights of passengers with the rights of drivers. It will be posted in all taxicabs, outlining the reasons why cabs can refuse a fare, along with a QR scan code that will help you easily file a compliment or complaint. Consider keeping a phone or pen and paper handy to write down taxi license number and company name. Be quick! They can take off in a flash. heated or air-conditioned on demand. Where can I make a complaint about a cab? I only want to go a short distance. Can a taxicab driver refuse to pick me up? No. A taxi driver cannot refuse a fare based on a short distance. If you can, get in the backseat, close the door, put your seatbelt on (if we’re giving safety tips :P) and THEN tell the driver where you’re going. If the door’s locked, tell them you’re going somewhere farther away than you are, then “realize” you’re actually only going to your real destination. (Only do this with a metered taxi, not a flat rate). 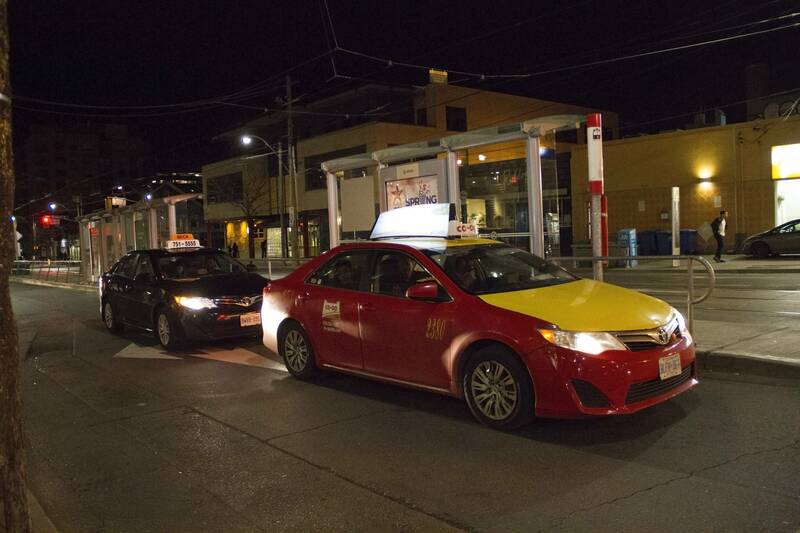 Hailing a cab – why can a taxicab driver refuse to pick me up? Puking in a cab? You could pay for It. Taxicab drivers can charge a $25 cleaning fee if a passenger soils the taxicab. Drivers will also be permitted to request that passengers pay the estimated fare before starting the trip (to a maximum of $25). Taxi reform – pre-payment could lead to further discrimination, there is concern that some people will be asked to pre-pay based on their appearance. Pre-payment is meant to help cut back on the number of people who leave taxi’s without paying but it’s up to the discretion of the driver to decide who will be required to pay in advance and how much. Make sure your driver is sober and awake enough to drive. Consider keeping a few supplies like bags, napkins and water in the car in case a passenger feels sick on the way. Keep a charged cell phone with you in case of emergencies. Lock the car doors to prevent theft and be aware of your surroundings in dark or deserted parking lots. Careful of where you park, especially downtown. Overnight parking is prohibited on most downtown streets and even more locations in the winter (for snow ploughs). Avoid parking near a fire hydrant or on private property to avoid overnight parking fees, parking tickets or towing charges. Driving home may seem like a good choice but you take drugs to affect your body and/or mind – do you really think you’ll drive like you’re sober? Driving high has been on the rise amongst teen drivers, becoming just as common as driving drunk. There is significant risk of injury to yourself or others when driving impaired so consider alternatives to driving yourself home. GTA Designated Drivers offers a service year round where at a rate of $85 up to 20km then an additional $3 per km two licensed and insured drivers will pick you up and drive you and your car home. 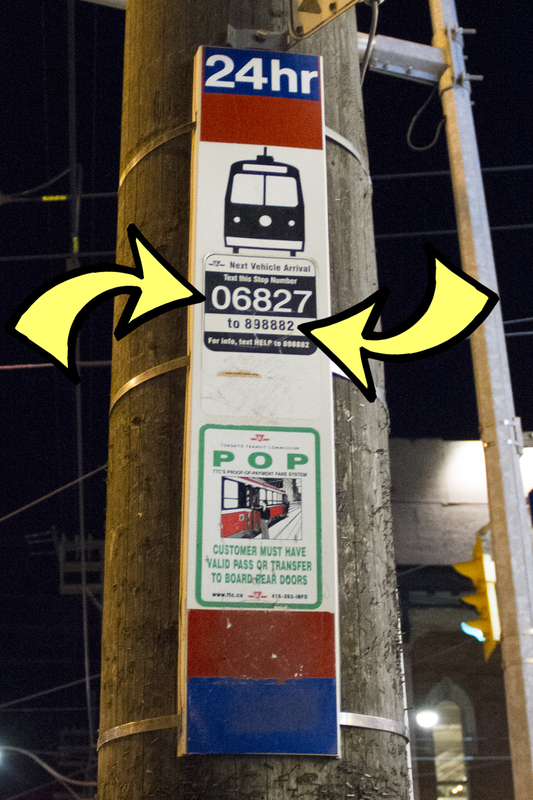 You can also text the number at TTC bus & streetcar stops to see when the next one will arrive. You can input the numbers into your phone before getting inside and texting before leaving minimizing the amount of time spent waiting outside alone/in the cold. With these tips in mind we wish you safe travels!